Are There Advantages to Alloy Wheels? Alloy wheels have become increasingly popular in recent years. Alloy wheels were once found solely on luxury cars and sports cars, but now they can be found on all sorts of cars. 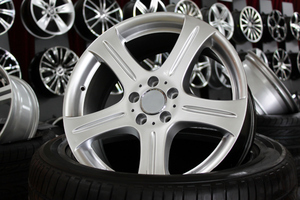 Alloy wheels are not made from steel, which is the traditional material for wheels. Instead, they are made from aluminum or magnesium alloy (and sometimes a combination of the two). Whether you get upgraded alloy wheels when you purchase your vehicle or if you buy them later on, they are sure to enhance the aesthetics of your vehicle. Improved performance: Because they are lighter weight than steel wheels, alloy wheels are easier on the suspension system of your vehicle. Improved fuel economy: Again, the lower weight of alloy wheels improves your miles per gallon. Increased heat dissipation and braking power: Heat is more easily able to escape your wheels when they are made of alloy, which translates to less chance of braking failure and better braking. 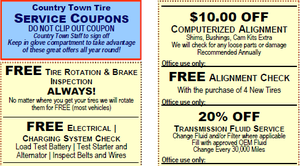 Increased tire life: Reduced heat is easier on your tires and they hold air better because alloy wheels are airtight. Alloy wheels are also less likely to rust or corrode than steel. So, now you might be wondering why alloy wheels aren’t the industry standard? There are some considerations before you upgrade. First, alloy wheels are significantly more expensive than steel. Because of their value, they are more likely to be stolen and you will need special lug nuts to prevent this. Most importantly, alloy wheels are not as strong as steel. Hitting a pot hole or driving on uneven roads can cause cracking and breaking, forcing you to buy new wheels.